Here is my loan repayment history so far on Kiva. This has all been from a $100 loan. 13/16 loans already 100% paid back, 3 loan’s in the process of being paid back. I am choosing the loans and try to lend to institutions who have a great repayment history / low risk for housing, usually to women-led / credit circles and choose projects which will not harm the environment (eg. slash/crop farming etc.). 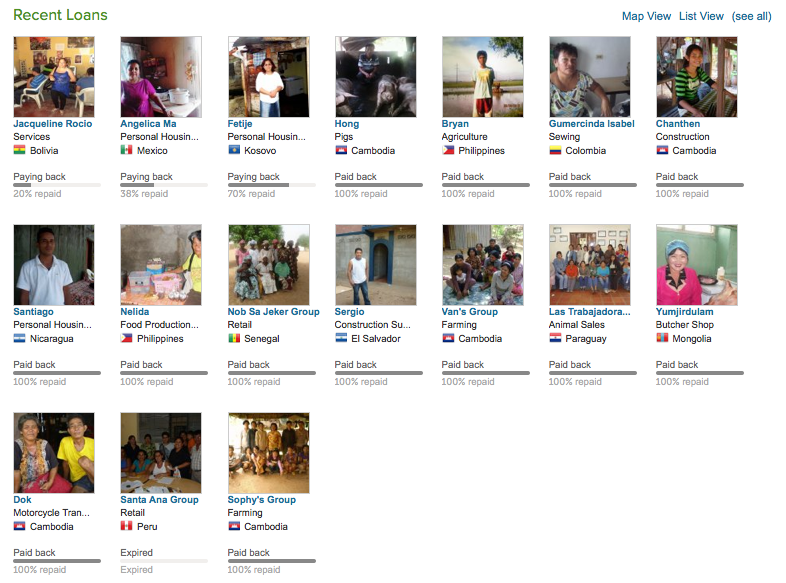 Be skeptical when lending to charities, I am still doing it through Kiva which seems reputable (to-date).